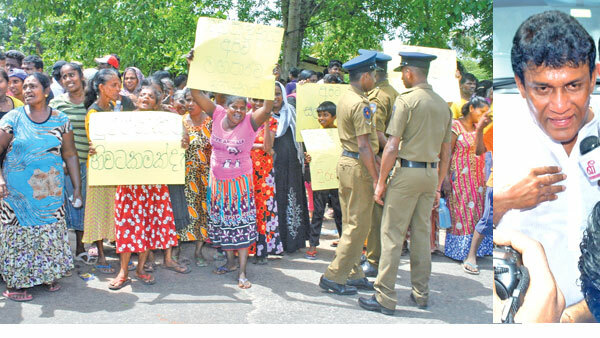 National Co-existence, Dialogue and Official Languages Minister Mano Ganeshan asked the Colombo Divisional Secretariat to collect accurate details of the lands that belong to the Urban Development Authority (UDA), National Housing Developmental Authority (NHDA), Ports Authority, Colombo Municipal Council and Provincial Council and the lands that are not being used in the Colombo North and Colombo Central electorates. The minister said there is a need to identify the lands that are not being used as there are many local and foreign entities willing to invest in housing projects, adding that it will bring a solution to the housing issues of the middle class and low income families in the Colombo suburbs. The observation was made at the Colombo Divisional Secretariat Co-ordination Committee Meeting held between Ministers Mano Ganesan, Ravi Karunanayake and State Minister A.H.M Fowzie at the Kalanithi Angelo Auditorium, Colombo Fort. Minister Ganesan said the government has understood the need to solve the housing issues of the middle and low income families living in the Colombo North and Colombo Central electorates. The National Co-existence Ministry is in the process of collecting details of the people who are in need of houses and measures are being taken to build houses to suit their income, he added.